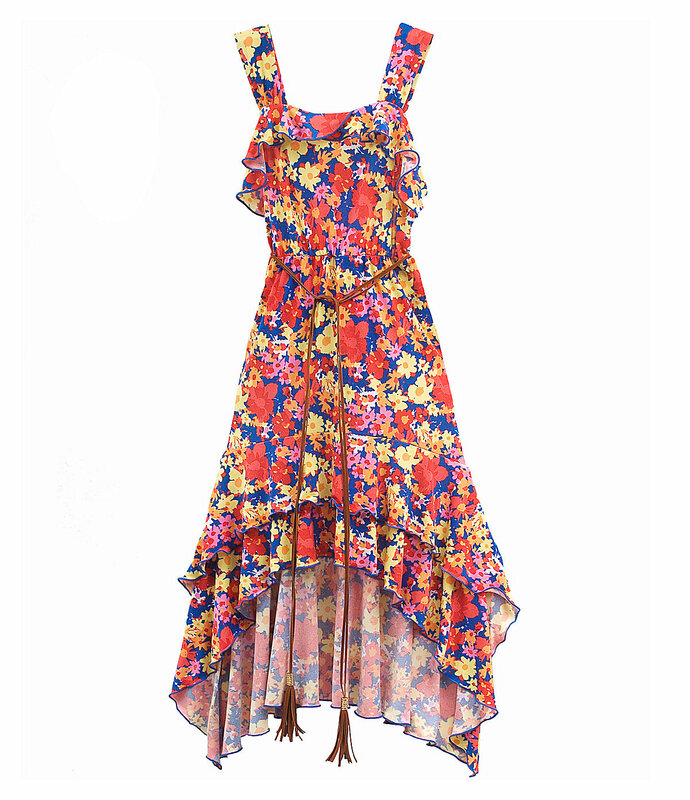 Pretty orange blue and yellow floral dress with high low hemline and belt. Dress is 95 / 5 polyester spandex. Accented with a brown tie belt. (Please note due to a production change and for modesty reasons the fabric is a stretch fabric and not sheer as the photo here shows).